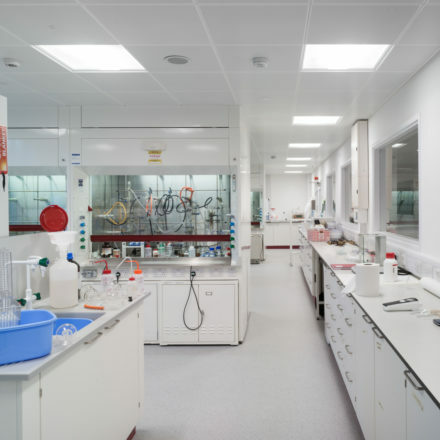 The works are located within Laboratory 180 on the first floor of the South Wing of the Department of Chemistry in Lensfield Road, Cambridge. 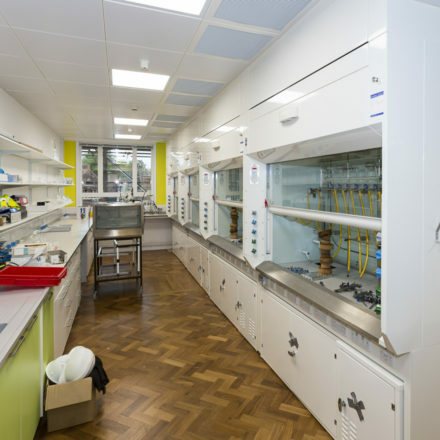 The works involved creation of a 14 person write up room, solvent storage area, a break room and a completely new laboratory which houses 28 new fume cupboards. Internal Works involved the full strip out of the existing rooms including the strip, sanding and recoating of parka wooden flooring. 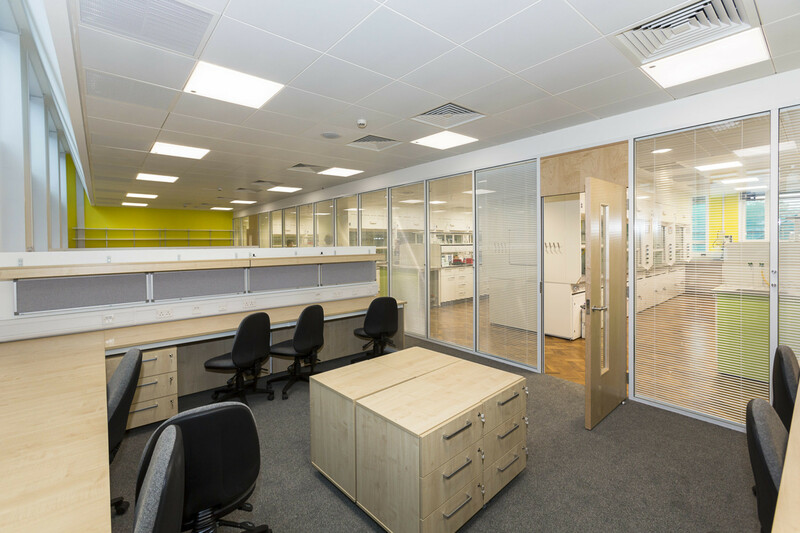 New partition installation including glazed screens, suspended ceilings, new lab furniture and installation of 28 new fume cupboards and kitchen area. External works included alterations to the existing copper chimney and new ductwork travelling vertically to the building with pcc cladding. 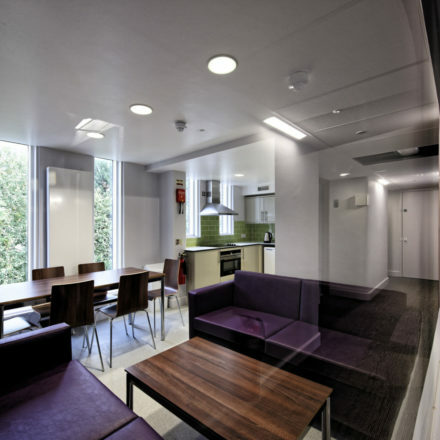 The project was carried out within a live building and precautions were made for localised shut downs. On the project communication with the rest of the University was key to ensuring the that the general day to day running of the University was unaffected by the work. On site delivery also had to be carefully coordinated to ensure that all equipment was safely transported to the project site so that it could be carefully installed by specialist workers.